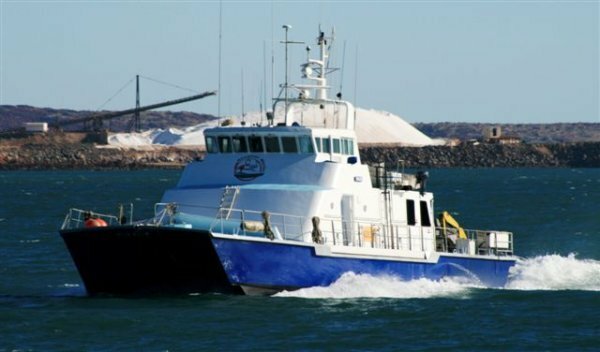 This Vessel is powered by twin MWM TBD 234 V12 main engines with a top speed of 20 knots and cruise at 18 knots. She has full fendering and a clear deck space of 50 square metres. Cargo capacity of 10 tonne, 8.5m open transom, port and starboard rescue zones.